The Stamford Endowed Schools are situated in one of the finest historic market towns in the heart of England and comprise of a junior school, a high school for girls and a school for boys. Each School benefits from its own site and a wide array of sports is catered for across the school’s vast playing fields. Rugby pitches, football pitches, hockey pitches, tennis courts, cricket squares and two synthetic surfaces are all frequently played on and with close to 2,000 pupils across the three schools, Bob and his six members of staff certainly have their work cut out. 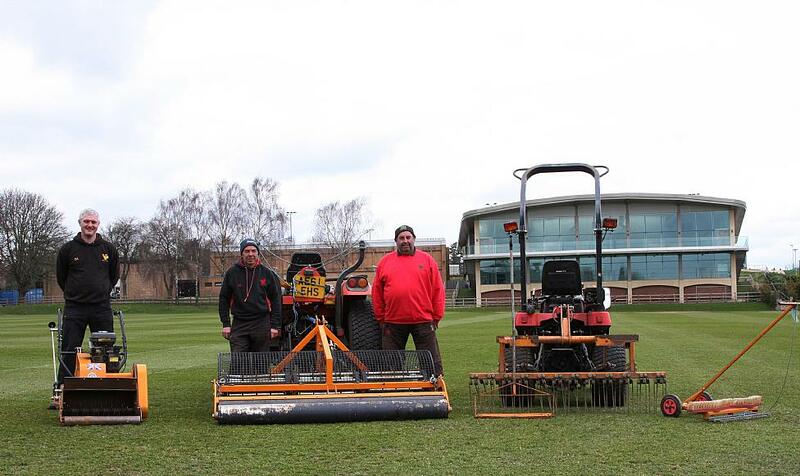 With such heavy usage, Bob adheres to an intense aeration programme to keep the playing surfaces at Stamford Endowed in the best possible condition. Aeration is important to improve drainage, reduce turf compaction and thatch build up and he believes his SISIS Multitiner offers the perfect solution to keep up with the rigorous demands of maintaining healthy turf on some particularly complicated surfaces. 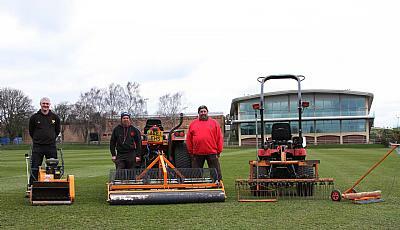 The SISIS Multitiner 1.8m is a tractor mounted drum-type aerator which is ideally suited to a range of applications from sports field maintenance, lawns and amenities. It has three drums with independent rotation and its interchangeable tines with a maximum depth of 100mm ensure excellent turf care when the time comes to aerate. It has also been designed for low maintenance, something which Bob is particularly fond of. “It’s a good, quick machine to use, it’s steady and quiet, and provides an excellent finish – for presentation purposes it’s a great piece of kit.